While Jack Schmitt was in training for his flight to the Moon, most of the other scientist-astronauts were busily engaged in preparing for the Skylab programme. Skylab was the made-over Apollo Applications Program, having evolved from plans to use converted Apollo lunar hardware in order to create America's first space station. It would become a platform for research in solar science, stellar astronomy, space physics, Earth resources, life and material sciences. Skylab would be where Americans first learned the skills and realities of truly living and working in space. The first US space station would be by far the largest spacecraft ever launched into long-term orbit, ready for human occupancy. It would be described euphemistically by the media as "a house in space,'' and that was pretty close to the mark, for three teams of astronauts would occupy Skylab on science missions of twenty-eight, fifty-nine and eighty-four days respectively. Skylab was not merely a temporary work platform for American astronauts, it was the forerunner to NASA's vision for the future; a massive solar-driven stepping-stone on the path to what was called "the next logical step in space'' - a permanent human presence in Earth orbit. 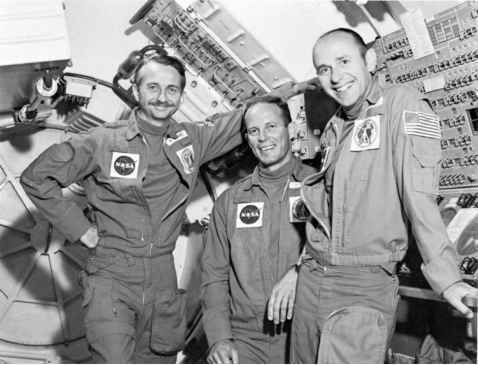 The prospect of extended duration meant that flight opportunities for the scientists improved dramatically, but despite a call for two scientist-astronauts on each Skylab flight, only the three remaining from the first selection group flew to Skylab, while members of the second group of scientist-astronauts only served as back-ups, or in support roles.